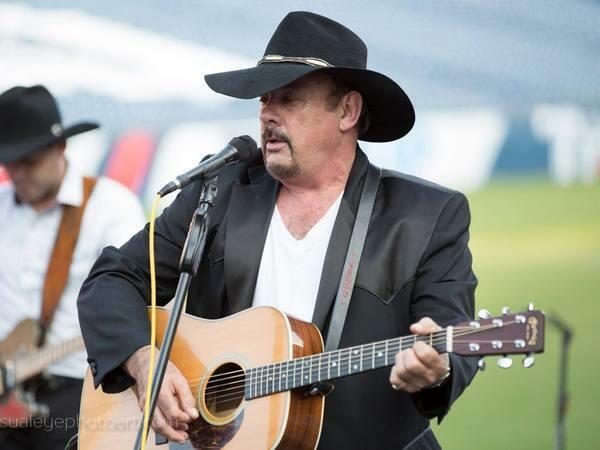 Join us this week as we welcome country music singer songwriter, Jimmy Parker. A Virginia native, Jimmy is a true-blooded country music singer. He has stayed true to his roots since he started pursuing country music for a career. After serving in the Military and then moving around the east coast for several years playing music, Jimmy moved to Nashville in 1990. Since then he has released 6 albums. Today, he not only sings but acts as well having appeared in the hit TV shows, "Nashville" and "Still The King." He's also a star on the hit NCS TV show called, "Hicksville Junction." He's appeared in a movie with John Colbert called "All Saints" and a music video by Reba McIntyre called "Back to God." He loves his travels around the country performing for House Concerts, Theatres, Casinos, listening rooms, Cafes, etc. Many people are jumping on this band wagon and getting Jimmy to come play a Concert for them, their families, and their friends. He has played for crowds as big as 5,000 people. He has toured many states in the U.S. and has even toured and performed in Australia capping it off with some performances in Tamworth, New South Wales, Australia known as the home of the largest country music festival in the world. We will talk to Jimmy about his upcoming schedule, get a behind the scenes look at his music, feature his latest songs, and ask him to share his message for the troops. Please be sure to visit Jimmy Parker at http://www.jimmyparkermusic.com/ and spread the word. And as always we will give shout outs to our deployed military listeners. Our message to the troops: WE do what we do, because YOU do what you do.